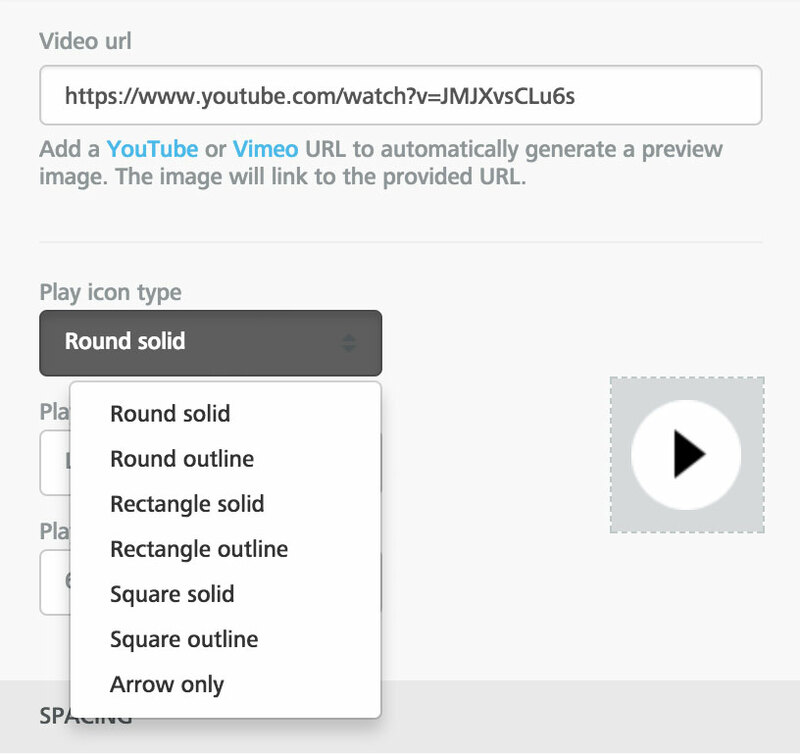 The video content block allows you to share your video content easily in your emails. 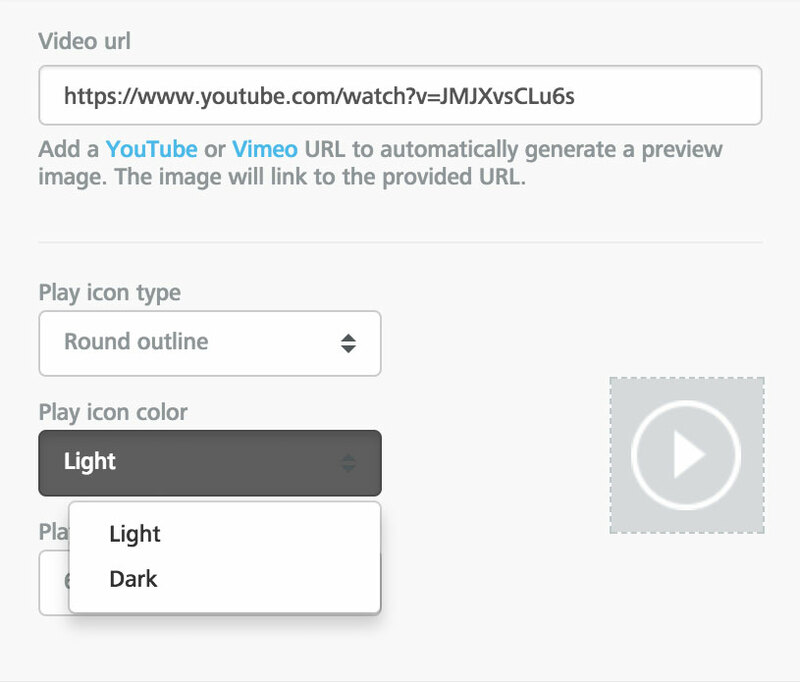 You only need to copy and paste the URL of your video from YouTube or Vimeo, and the drag and drop editor will do the rest: it will automatically grab the cover image for the video, overlay a Play icon on top of it, and link it to the video content. 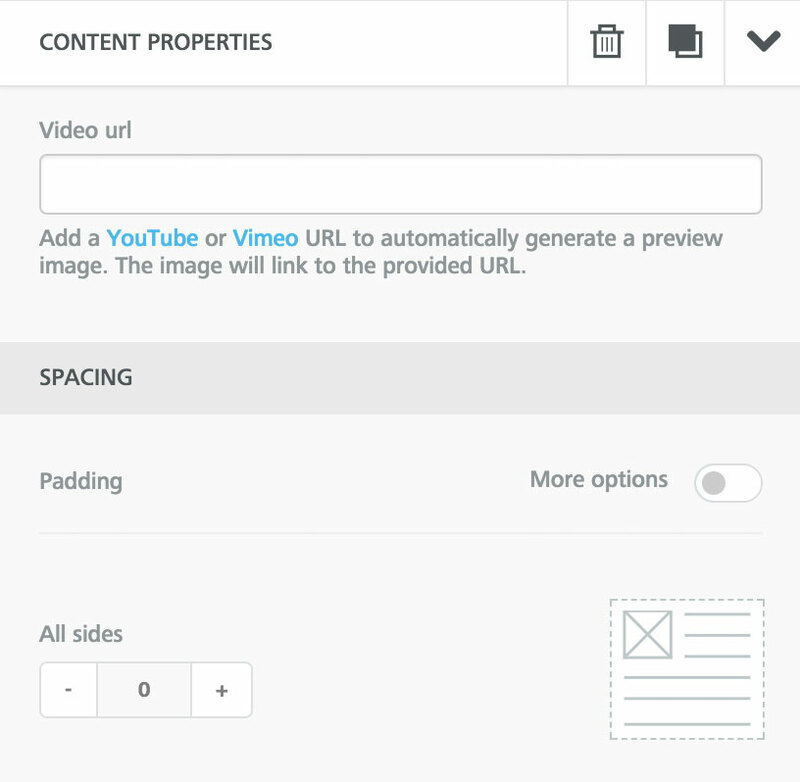 You will now find a "Video" tile in the "Content" panel. 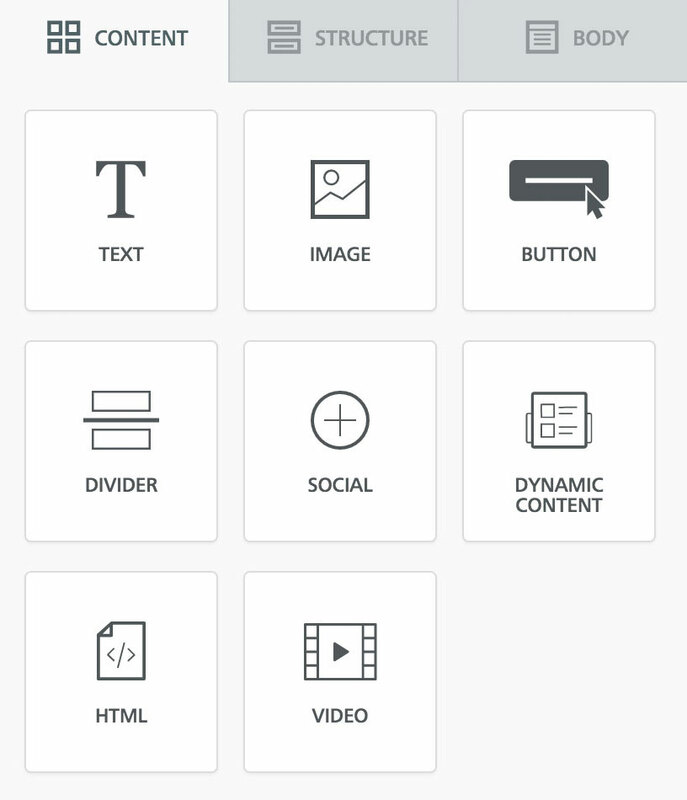 Drag it into your design to get started. The "Content properties" section will ask you to provide a video URL from YouTube or Vimeo, the popular video hosting services that we currently support. ... and pick a size. You're all done! 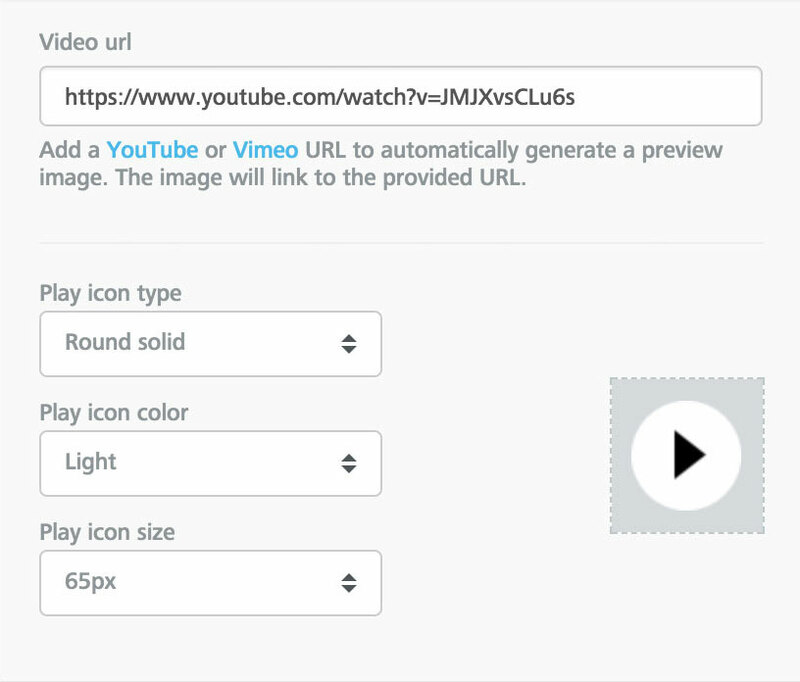 This feature does not embed the actual video in the email designed with the drag and drop editor, but rather links to it in a smart way. The reason why the actual video content is not embedded into the message is that, unfortunately embedding video is not supported on email.